We like to give our readers an insight into the inner workings of Sutherland Labs and this time we have been lucky enough to secure a quick Skype interview with one of our hardest to catch staff members. 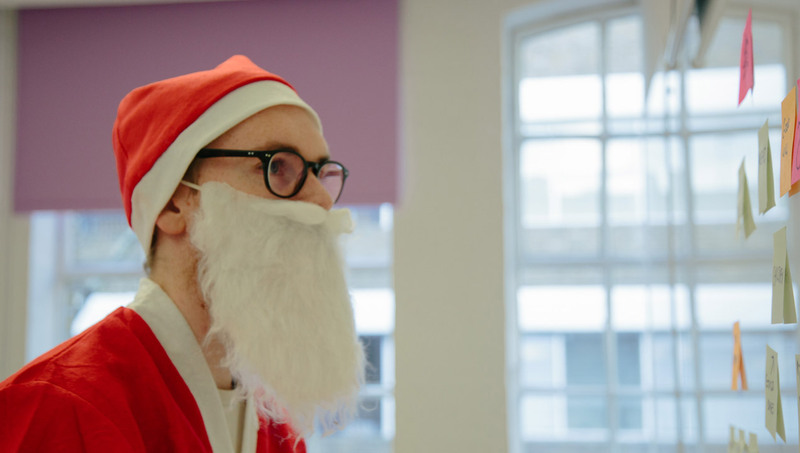 Nicholas “Santa” Claus is head of experience design at the North Pole Sutherland Labs. What is it like to only work one night a year? Santa: Hoho! I think that you have a very skewed idea about the work that we do in the North Pole Labs. Just because the customer-facing delivery part of our business is only active for 24 hours a year, that doesn’t mean that we just sit around getting fat the rest of the time. There is a lot of snow up here at the north-pole, a lot of polar bears too, but another thing we have a lot of is icebergs. Which are useful for keeping us out of the sea and a helpful metaphor for customer experience. What you and the rest of the world see once a year, that smooth-running machine of the Christmas Eve deliveries, is the product of a whole year of preparation and organization. The day after our busy night I might take a nap, but the day after that, we get started on designing the experience for next year. Everyone wants Christmas Day to be perfect, but perfect is different every single year. What people think is perfect one year becomes boring the next. Design is iterative and every year we improve on the experience design of the previous year. Of course, since we start designing almost a full year in advance, we also have to be able to predict the trends in the market, keep up with the latest technology and work out what people are going to want before they want it. That is where the Sutherland Labs around the rest of the world comes in handy. What does Santa Claus do for fun? 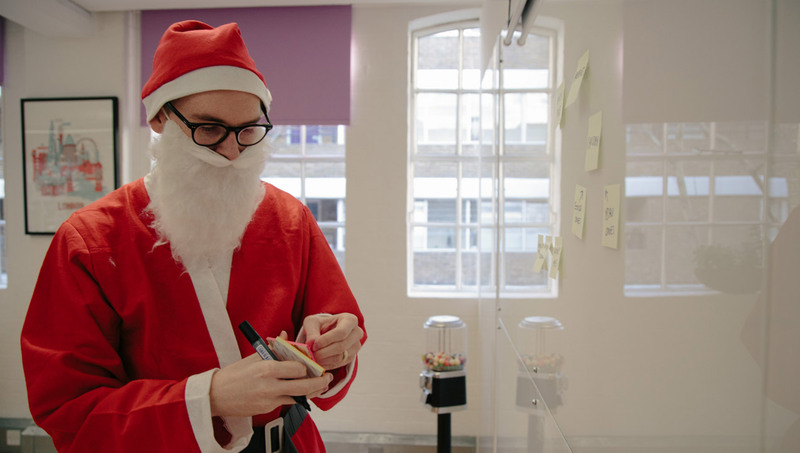 Santa: The work keeps me pretty darned busy. Outside of work I spend an awful lot of time taking care of my reindeer. If you think that it is difficult to keep a paddock clean and organized in normal circumstances, imagine how much harder it gets when there are reindeer droppings falling out of the sky all over the place. Wait, that isn’t fun is it. Me and the elves have a regular poker game going on the shop floor on Thursday nights but they always fleece me. Apparently, I am not very good at bluffing. So that isn’t much fun either. Other than that, I spend an awful lot of time at the gym. I have to keep these guns primed for sack-lifting, and you would not believe how many calories are in a mince pie. I might be looking pretty svelte right now, but this time next month I am going to have trouble getting through doors. Hmm, actually that isn’t much fun either. I guess that I am just naturally jolly, and of course, I really enjoy my work! Santa: Well, obviously there are all of the little smiling faces of children all around the world, but there is also the challenge of getting better year after year. If I had gone on doing things exactly the same way through all these years I imagine that I would be bored out of my mind by now. The big thing that really inspires me though… ah… hold on a minute… Right, I am sorry but I am going to have to cut this interview short. We have just started some new elves in the manufacturing department and they are having some trouble carving X-Box One X-es out of wood. Sometimes I need to get a little hands on. Hoho! Please, excuse me. Have a Merry Christmas. Will there be enough X-Box One X-es carved in time for Christmas? Will Santa ever work out a solution to the flying reindeer poop problem? Will that poor man ever get a holiday? Check in next year for another instalment of ‘Labs Life’ to find out all these answers and more!